I'm coming to the end of my meal cycle and Monday is shopping day. Weird how I'm actually looking forward to it! I used to dread it, but I'm so proud of my once a month efforts that I can't wait to start it all over again. The last time I went grocery shopping was January 23rd, so not bad! 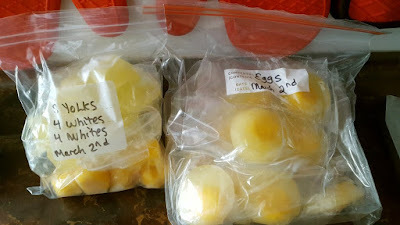 I had a few dozen eggs left in the fridge that had a due date of March 2nd so I decided to freeze them. I found the method seeing a photo on Pinterest. Aaah, Pinterest, it can be such a wonderful site and such a wonderful time waster!!! On my sidebar, I have the link to my Pinterest account, if anyone wants to give me theirs, I'd love to follow you. ...which I did, well, not a "bunch" more like SIX. They're in the freezer now for future use. I mixed in some maple syrup, rosemary, thyme, sage, s&p. They smelled amazing cooking! 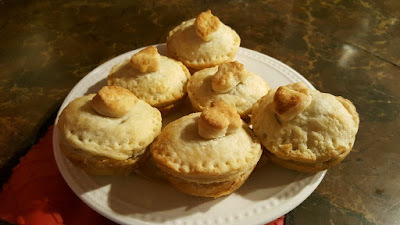 When I was looking up what to do with a pork shoulder, I thought I'd have a few pounds for sausage patties, a pound for these pork pies, a pound for sweet and sour meatballs and a little bit to make a pulled pork sandwich for my boyfriend. No such luck! I was able to get six of these pork pies only and they're in the freezer too for snacks. 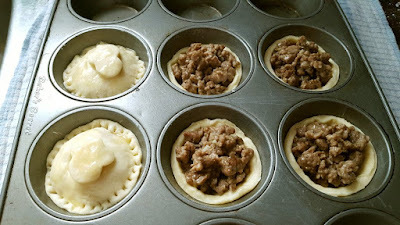 I used this recipe for the pork pies: Mini Pork Pies and this is my full-proof recipe for pie/pastry dough: Martha Stewart's Perfect Pie Crust. 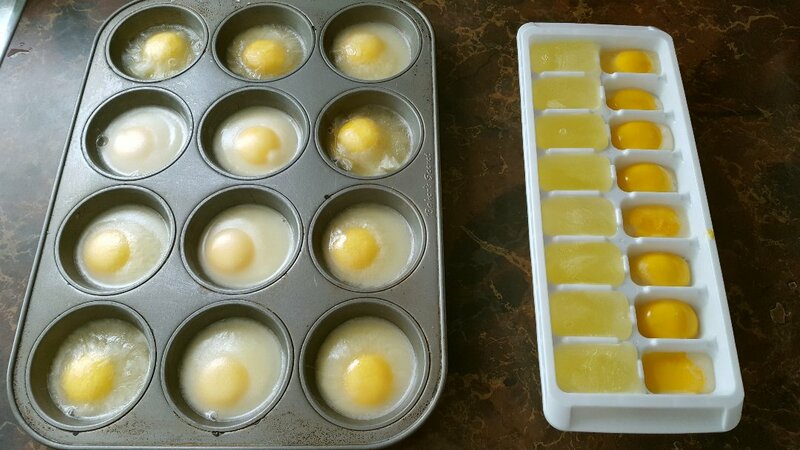 I love her recipe, I've never had a problem with it and it turns out delicious every time. I use it for sweet pies and savoury ones. I have to say, five hours in the kitchen and this is what I produced? I'm a little disappointed. 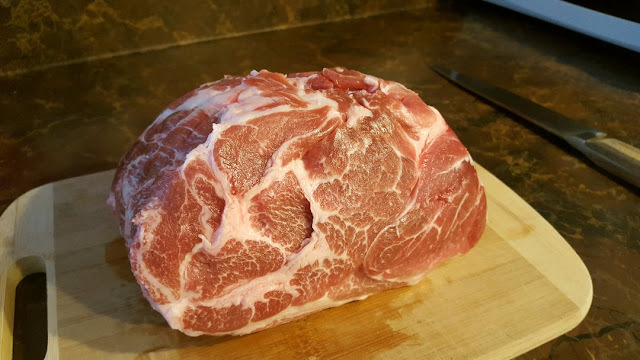 What do you do with pork shoulder? Do you take the time to trim all the fat off? Maybe I shouldn't have been so fussy about trying to trim it all off...I feel like I got gypped! At least I only paid $9 for the meat, but I think I might stick to pork tenderloin from now on. Dinner wasn't much more successful! 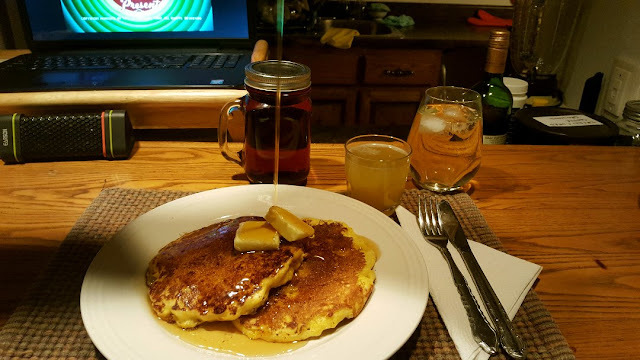 Here's an action shot of the maple syrup drop lol...I made Johnny Cakes from my Breakfast Comforts book. My boyfriend and I weren't sure about this because we're really not big on cornmeal, but we thought we'd try it. It was okay but I won't make it again. We don't like the texture, that didn't stop us from eating it though! It is a great recipe though, you mix up bacon and cheddar into the dough and if it wasn't for the cornmeal, we would have loved it. I'll likely try to make my sour cream or buttermilk pancakes with the bacon and cheddar in the dough next time. I think the birds will enjoy the rest of the cornmeal mixed with some peanut butter for the bird feeder! i almost always make pulled pork with shoulders. a lot of the fat melts away and you can easily pull the extra off after roasting. it also freezes really well! Hi Joyce :) So I probably shouldn't have been so rigid with cutting all the fat off! I guess I could have put the whole thing into the slow cooker. Rain, a pork shoulder is a blessing for multiple meals as you thought. You don't trim the fat (you need some for great flavor until after it's cooked & browned. I cook mine in a big pot of water with a carrot, rib of celery, an onion, peppercorns, fresh garlic, cumin, & coriander. I simmer it 'til it's tender then I drain it & shred it in (or cut) into chunks (1 1/2 in.) Put it on a rimmed cookie sheet, sprinkle with garlic saltt & roast at 400*, turning every few minutes 'til browned. This way there is little fat left in the meat. Now you can use it for pulled pork, Carnitas, tamales, tacos, enchiladas, chili, you name it. Cool the liquid so you can remove the fat & you're left with pork stock. Your dogs will probably like the stock. Great post... I am trying finally to do less shopping. So for the start of each month, I'm estimating what we "need". 3 cans of coffee (hubby said no, only two, but he drinks a pot a day so I don't want to run out), 4 lbs of butter, 5 dozen eggs, etc. I love cornmeal but have a corn allergy. I used to just ignore it, now I am trying to eat better, etc. so in it's place, I use a 7 grain-cereal. Bob's Red Mill is too chunky, I have to grind it more, but it's cheaper than malt-o-meal. 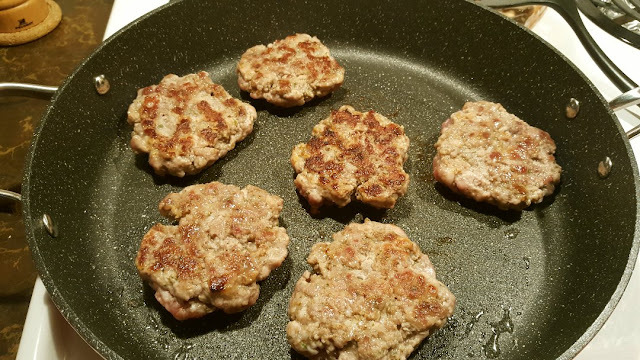 I have a lot of beef and pork in my freezer from 2016 harvest, so I need to grind them up into sausage and burger. What's your recipe? Hi Ruth :) I JUST finished my meal plan for the next 40 days! I'm trying a 6-week plan now. But I've admitted to myself that I'll have to go to the next town over a few times during that 6 weeks for fresh produce, I can't wait until I can provide for us from our garden! We go through lots of coffee here too, and butter...butter is SO expensive...I stock up when it's on sale. we have met a bunch of friends through our blog but they are mostly in the US as they are preppers/survivalists as are we. we don't have a lot of canadian bloggers on our bloglist (strange eh?) but if you agree i would love to do a post about you guys and showcase you to our regular readers. i applaud what you and your boyfriend and doing and look forward to reading more about it. sending a big canadian high five to you both. have a look at our blog - i think that you'll see that we are very similar. 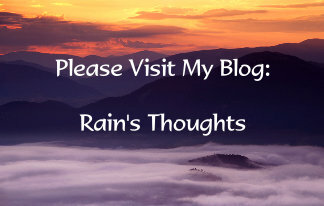 Rain - i just tried to follow your blog and i got an error msg??? just wanted to let you know. no worries - i will keep your blog in my list of faves. and add your blog to our bloglist. Hi Nik :), we're still in the deep freeze, by tomorrow it'll be "warmer" but not above zero yet! 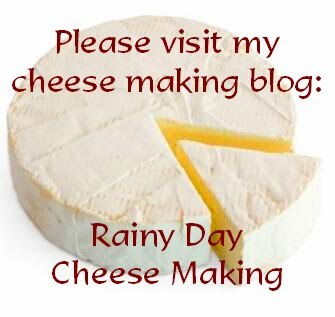 I posted a link to the recipe on the blog, it's the same one as in my cookbook. 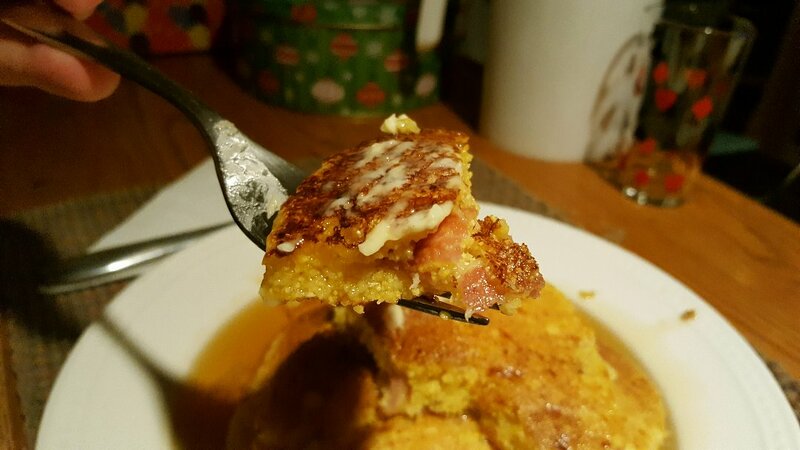 It's this one: http://www.williams-sonoma.com/recipe/bacon-cheddar-johnnycakes.html I think it you like cornmeal, you guys will love this, although it does have a wee bit of flour in it. It's funny! I actually visited your blog the other day and I put it in my "To Check Out" file because I was too busy with the meal planning to take the time to read and comment! It was meant to be :) I'm SO JEALOUS of your living arrangements!!! We are leaving Quebec (hopefully) in a few years and NS is one of the possible areas to settle. I've lived in Moncton and Summerside (PEI) and I've been all over NS, I spent a month touring Cape Breton way back in the early 2000's and I never wanted to leave Pleasant Bay :) Maybe one day we'll go fishing together, oh...to have a spot of our own!!! Thanks for the offer to showcase my blog :) I'm not quite at the prepper stage, but we're trying to take baby steps to self-sufficiency. Go ahead! :) I'm glad you stopped by! We are warming up here again this week. The food looks great! i hope that you are happy with it! I tried and tried to follow Coleman's information and instructions in his four season gardening book, but we are just too much colder here than his location in Maine. I was not very successful, to say the least. It was disappointing but made me try harder to do the best I can within our short gardening season. Hi, I've coem over from Framboise Manor! A meat grinder/mincer is a good investment, I was making lamb burgers last week with all the trimmings from a carcass that I butchered last week. Mine can also be used as a sausage stuffer. Slow cooking it is the other way, the fat isn't so bad then. Freeze the leftovers and use in things like steamed dumplings (tastes amazing). Your food looked really good though. 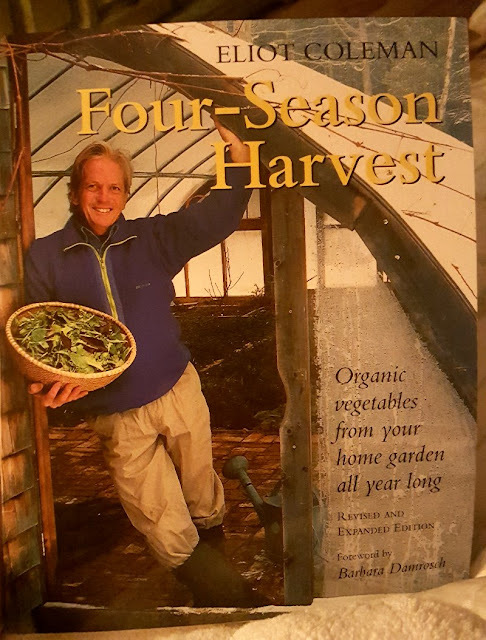 As for gardening books I love Elliot Coleman but at the moment my favourite books are The Market Gardener by Jean Martin Foutier and The Urban Farmer by curtis Stone (he also has a great Youtube Channel). Completly changed the way i've looked at my garden and I feel that now I'm gardening somewhere in between what they do and what I did before and I already seem so much more efficient, I'm still rubbish with winter crops though - unless you like leeks, I grow lots of leeks! Thanks Kristina! :) We had a cold spell over the weekend, but it's a little milder now, of course, that means everything is an ice rink again! Nah Mama Pea, there is something wrong with everyone BUT us lol...I used to love cornmeal though, I made corn muffins all the time, but I guess over the years our taste buds change. Interesting about your efforts re: Coleman...he really stresses it's daylight/sunlight that's the most important over temperature...I did wonder about that because we really do hit the -10's, -20's and even as bad as -40's some days. I'm going to try, we have an area next to the house that is really sheltered from the wind and gets a lot of sun, even in winter, so fingers crossed for me, but that'll be a fall project if we can find some old windows at the flea markets. I plan to set it up that way. Too bad you didn't have success with it though.